Let’s be realistic here: very few can, or want to, follow all their shows according to the premier calendar. There’s real life that requires tending to as well! Besides, and lest we forget that network stations are competitive, several quality shows typically occupy the same time block. TiVo’s appearance 17 years ago was a big deal for that very reason. A digital solution for recording shows, the DVR was a radical upgrade from the typical VCR recorders of the day. 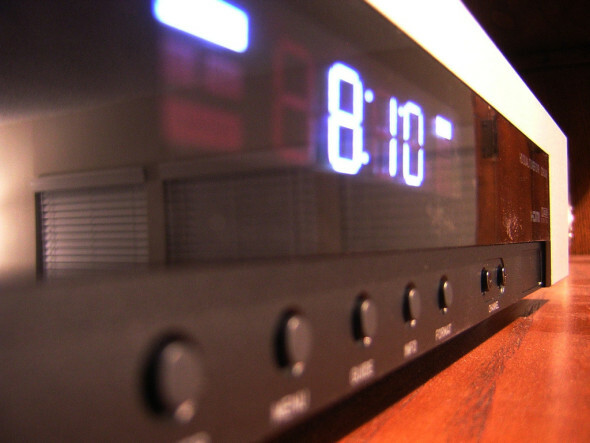 Fast forward to contemporary times, and DVR is more popular than ever before. TiVo remains dominant, but a slew of other DVR services and products are also now available. Independent manufacturers and cable providers like DirectTV are offering their spin on DVRs. With new variety come new details. Customers need to be more aware than ever of compatibilities between their DVR and cable service provider. Here’s a list of things to consider when making an upgrade or switching service. Modern DVRs can record to any number of devices. First and foremost, viewers should consider the size of their given show. Matching resolutions is fundamental for a crisp picture. The bigger the resolution, however, the more memory your show will require. Blu-ray disks can be up to 50 GB per film, just to give you an idea of how much data a single high res movie can require. Of course, most DVRs use video compression to save space until footage begins playing. Logic follows that you want a DVR with a large internal drive. Aim for a DVR with at least a 1TB. Plenty of people with 720p screens get by with 500GB, but they will need more space if they upgrade. Of course, the alternative is to use your own storage device. Avoid any DVR that lacks compatibility with your PC or mobile devices. Even TiVo is now including built-in WiFi for easy connection with other devices. Those who keep large libraries will particularly require access to multiple drives. Recording TV shows if the bare basics of DVR today. Most current day units come capable of tapping into streaming services and apps. Similarly, make sure the DVR has multiple tuners, or the ability simultaneously record on-air TV shows while watching another. Always be careful if selecting from older models. Basics like 1080p compatibility are up in the air if using some old TiVo you found at a garage sale. Cable companies like DirecTV and Verizon Fios offer bundles that include DVR suport. Opting into such a package radically simplifies the setup process, but will typically increase the monthly bill. While a tad spendier, most customers will find it cost affordable compared to outright owning their DVR. Most consoles cost at least $200 and top-tier models can retail for $500 or more. Here’s a quick roundup of available brands and what they offer. Features are all important when selecting a DVR, but so is compatibility. As those browsing DVRs quickly find out, specific models may or may not be compatible with cable service providers, analog channels, disk players or whatever else. The first brand that popularized DVRs, TiVo is still going strong. Its top-line models include all the features that DVR users expect: multiroom streaming, a smart recording scheduler, pause/rewind/fast-forward capabilities, 1080p output, and more. While options like the UHD-compatible TiVo Bolt retail for a pretty penny, the DVR company also has more affordable options…but at a cost. The $50 Roamio, for instance, can connect you with streaming services but only on one TV and without the option to record digital cable. Magnavox is offering its own line of DVRs for watching and recording media. Expensive as the TiVo models, Magnavox DVRs almost include as many features: 1TB + of storage, multiple tuners, recordings scheduler, support for digital channels, etc. They also lack some notable must-haves. For home theater buffs: zero support for streaming services or apps or UHD recordings are among the most prominent. An OTA, or over-the-air, DVR, Channel Master conspicuously lacks any support for digital channels. Those willing to overlook loosing cable-exclusive content will find that Channel Master has some worthwhile features: compatibility with online apps, 1 TB internal storage, HD recording options… and the much necessary pause/rewind/fast-forward are all present. The DVR has its downsides as well. Lack of compatibility with video-streaming services like Netflix is a red flag. As is only two turners for recording / watching shows. The cable provider offers a few adequate DVRs. Most noticeably, the DirecTV Plus HD is capable of recording shows at 1080p. The DVR is one of the few that’s compatible with both digital and satellite channels. While serviceable, the DVR also has some noticeable drawbacks. Some viewers may find 500 GB of storage a step back. Ditto for the inability to access popular streaming services and app. One of the simplest solutions, however, DirecTV offers its subscribers a quick and hassle-free setup.